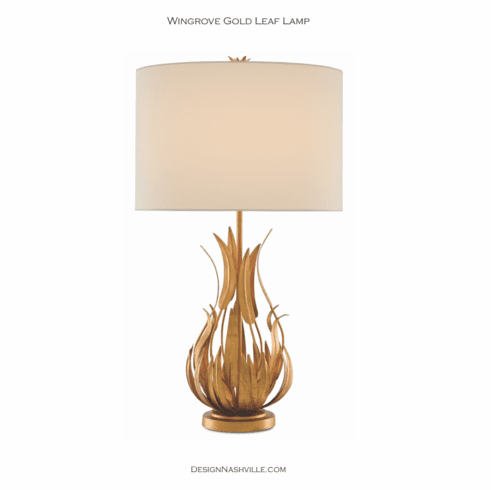 The graceful Wingrove Table Lamp gleans its name from a sheaf of gold leaves that seem to wave in the breeze as they float upward. The fixture has been treated to a dark contemporary gold leaf finish that gleams when the illumination from its eight lights reflect from it. You can depend upon this lamp, which is fitted with a drum shade, to make a dramatic statement in a formal setting or bring added whimsy to a casually chic room. We also offer a Wingrove Goldleaf Chandelier.